Kris Holloway served as a Peace Corps Volunteer in Mali, West Africa from 1989-1991, where she met her husband, John Bidwell. She holds a MPH from the University of Michigan where she focused her research on maternal and child health. 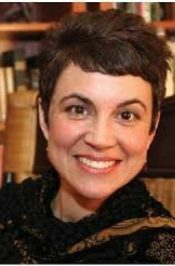 She has used her unique background in writing, public health, and development to further the mission of numerous non-profits and educational institutions including Planned Parenthood, the National Priorities Project, the University of Michigan, Springfield College, and the Greenbelt Movement International. She currently works as the Director of Institutional Relations at the Center for International Studies, a fabulous study/live/explore abroad organization. She is a confirmed Francophile, loves chocolate, and sits on a physio ball while at her computer. She lives in Northampton, MA with John and their two sons. OCUReads is new students’ first opportunity to engage with the community of scholars that is central to the OCU experience. 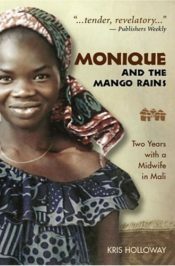 In August, as part of Stars Week: New Student Orientation, first-year students will participate in a series of discussions and activities providing a deeper appreciation of Monique and the Mango Rains. Each winner will also be invited to attend dinner with the author, Kris Holloway on Thursday, August 21, 2014. Winners will be announced on Thursday, August 21, 2014, before Kris Holloway’s presentation.